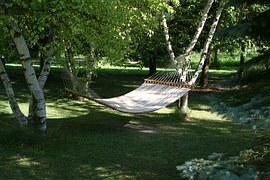 In our house, summer is a time of relaxing, sleeping in, flexible schedules, and traveling. My husband and I love to travel, so road trips are often in the works. This year, we are blessed to be able to take a trip by air as well! One month we will fly to Nevada and then drive to California and another month we will make the ten-hour drive to the Black Hills. One of the best parts of traveling is having concentrated time with my family where we can't really do "tasks." I am very task-oriented, as a general rule, which means we get a lot done, but "Responsible Mom" overpowers "Fun Mom" most of the time. "Responsible Mom" may be great at helping with homework, finding lost shoes or articles of clothing, and getting places on time, but sometimes my family needs an appearance of "Fun Mom." However, in the midst of multiple lists of tasks, worrying about deadlines, and random travel anxieties, "Fun Mom" can be hard to find. However, one thing "Fun Mom" is good at is packing travel bags. First christened "car bags" by my own mom, our travel bags have saved first me and my siblings, and now my own children, from the pit of despair--otherwise known as the back seat--many times. Here are some fun ideas to pack in your travel bags. A favorite book--for times on your trip when you need to relax and retreat into something familiar. A new book--Now that you are on vacation, you can finally read that book that's been on your list forever without feeling guilty. A devotion book--it is really hard to remember to do devotions when you are on a new routine, but you can always read them when you get in the car, even if you don't remember first thing in the morning. A Bible--I bring my smaller version, instead of my huge study Bible. Of course, it's best if you actually read it, so be sure to unpack it! eReader--If you are short on space, vacation is a perfect time to pack your Kindle or Nook, or other device. 2. Coloring Books--great for the times when you have to wait, or during down time. Coloring books are made for all ages now. 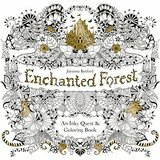 You can find just about anything, from mess-free Color Wonder books to adult coloring books like The Enchanted Forest. 3. Magazines. I need magazines to browse for the times when my husband wants me to visit with him so he will stay awake driving. I'm no help at all if I am in Book Land! Magazines are also great for people who get headaches from reading while moving. 4. Crafts. Origami papers and hemp bracelets are fun and easy to pack. For younger children, paper or magnetic dolls, paper airplanes and sewing cards are also fun. 5. Snacks. I know eating in cars can be messy, but it can save time on long trips. Goldfish crackers and graham crackers were some favorites when my children were little. Once choking isn't a worry, fruit snacks and Lifesavers can be useful to mark the time between mile markers or towns. 7. Audio Books. 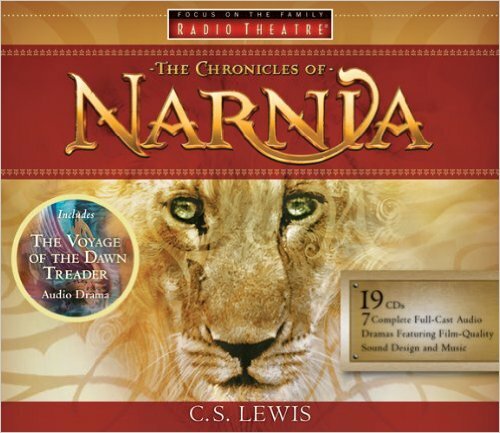 One of our family's favorites is the Focus on the Family Radio Theater version of The Chronicles of Narnia. With seven books, they will last you a long time! 1. Games. First of all, you can lose pieces in seat cracks, around bends, and in luggage. Secondly, in close quarters it is harder to settle disputes and the loser can't always escape to nurse his/her wounds in private. 2. Sticky crafts--like silly putty and play doh. Even though these are fun, parents are generally not happy to find them melted in random spots in their cars. 3. Sharp tools. Scissors and needles aren't the safest, as they can poke if you hit a bump or experience turbulence. 4. Lego sets. One lost piece, and everyone is frustrated! What are your favorite things to pack for a trip? Leave a comment and let me know! Our travel list has changed over the years. When the kids were young, I'd fill a covered shoebox-size container with various toys, books, treats, for each of the kids, including one wrapped surprise. Then we'd listen to Adventures in Odyssey CDs to make the time go faster. Now when we travel with (3) adult kids, we still listen to AiO CDs :), and we watch movies, usually movies we've watched a zillion times so the driver enjoys it too. We haven't brought audio books because our reading tastes are all so different. Great idea for a post! I am actually on vacation right now, so this was very applicable! Thanks!